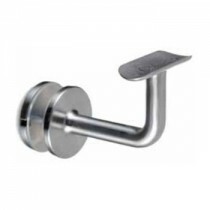 If the purpose of staircase handrails is to provide safety, then choosing the right handrail brackets to support the rail and anchor it to the wall or fixing point is vital to providing optimal safety. 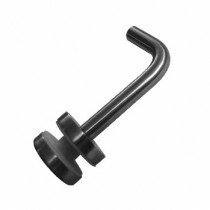 If you're about to secure a staircase handrail, or need to replace a faulty or broken bracket, choose from the extensive selection at Keble's Trading in Melbourne. 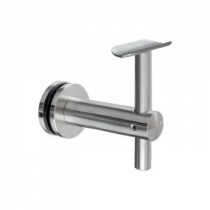 Manufactured from fine-quality 304 and 316 grade stainless steel, our handrail brackets come in mirror or satin finish, so you're sure to find something that both appeals to your tastes and complements the overall staircase design. 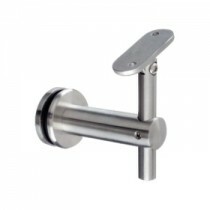 Enjoy the convenience and ease that comes with buying your stainless steel handrail brackets from one handy retailer. Whether you're a trade industry customer or a seasoned DIY-er, you're sure to find something among the multitude of different designs and sizes available. Find elegantly designed stair handrail brackets that are as stylish as they are functional right here at Keble's Trading. We deliver Australia wide, so explore our complete range and place an order with us today. For those in Melbourne, you can visit one of our four conveniently located suburban stores. Please Note: Information on this page is intended for reference only and may change without prior notice. See our product disclaimer or contact us for further information. 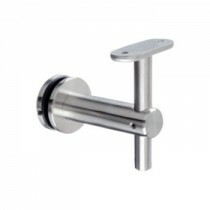 Turn to Keble’s Trading for reliable-grade HANDRAIL BRACKETS GLASS MOUNTED. Talk to us! We speak your language! We understand your business. Call us at 1-800-067-687 or fill out the contact us form below. No inquiry is too large or too small. We would love to be of service to you today!